I am looking for a consultant to take a leading role within the Employer Advisory and Charity / Not-for-profit Practice area. You would advise employers, public sector bodies and charities on current and future pensions strategy as well as on actuarial valuations, accounting figures and various other matters ensuring compliance with regulatory and legislative requirements. You will be required to ensure a professional advisory service is provided and that advice is proactive, timely and fully focused on needs of the client and maintain the excellent reputation that has been built. 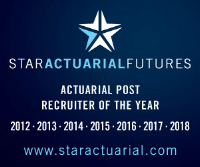 5+ years’ experience working in an actuarial or consulting role/advising clients preferably in Charity/Not for profit/Public sector area. Good understanding of UK pensions legislation, individual scheme rules, member benefits entitlement and expertise of funding issues.